Milly Benton wants it all to go away. Wants to flip the bird to the nightmares and her parent’s grief and the incessant questions about when she’s going to make something of herself. But when her parents exile her to the country, Milly has to cope with her annoyingly helpful aunt and three cousins instead. Bitter at the hand she’s been dealt, Milly has stopped dreaming of a future. In steps Jerome with his tormented blue eyes. Familiar from her childhood and as broken as she. They need each other. But how can they forget? Danielle Weiler loves all things written. She has her best story ideas in the middle of the night when there’s no chance to remember them the next day. 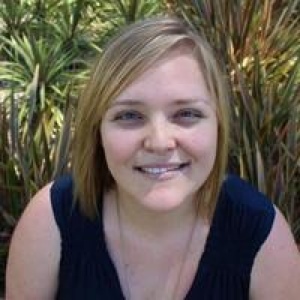 Her first YA novel, Friendship on Fire, was published in 2011. 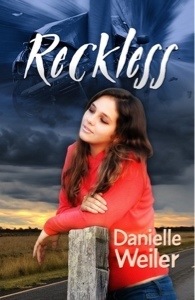 Reckless is Danielle’s first novel for new adults. She has lived and taught high school in New South Wales and Victoria but prefers the sunny weather in Perth. She is kept company by her husband, son and naughty cat, Ginger. I received a copy of Reckless in exchange for an honest review. To be completely honest this book started off a little shakily for me. At first I kind of hated the main character and found myself mentally yelling at her. I pushed through though and was pleasantly surprised. This story was a coming of age tale that felt both real and genuine. I eventually learned to love the main character and was able to appreciate how far she's come by the end of the story because of how crazy she drove me in the beginning. This book tells the story of nineteen year old Milly. Milly's twin brother died two years prior and she hasn't been able to move on with her life. She has basically given up on the idea of having any sort of future and lives her life very recklessly. She does crazy things and never really thinks about the consequences. Her family finally makes the decision to send her out to the country to live with her somewhat overbearing aunt and he three cousins. At first this seems like the worst possible situation for Milly, but she eventually manages to find happiness. She soon becomes friends with her twin brother's old best friend and they ultimately fall for one another. Together they manage to mend themselves and each other. Things ultimately get complicated for them, but the story ends with a strong sense of hope. Once Milly got to her aunt's house, that's when this book really picked up and got good for me. Things start changing for the good at that point and the romantic part of the story begins. The first part of the story kind of dragged for me, but at this point I ended up tearing through the rest of the book and ultimately enjoyed it. There were two main reasons for why I started to enjoy it at this point. The first is that Milly simply began to become a decent human being again. She stopped being only caring about herself and being incredibly self-centered. She finally started to care about being a good person. The second reason (and in a lot of ways the cause of the first reason) was Jerome, her brother's friend. He was maybe the only person in the world that could fully understand and comprehend who Milly was and what she was going through. I really loved the romance story in Reckless. Jerome and Milly knew each other before, but they weren't exactly close friends or anything. They first forge a friendship upon their re-meeting and eventually begin to fall in love with each other. I love that this wasn't a case of insta-love.I also love that their relationship was built on a connectedness through her brother. Jerome, himself, is a great character as well. He is so sweet and good for Milly. I ultimately thoroughly enjoyed this book. I didn't care for Milly at first, but by the end I was rooting for her. This contrast between her behavior in the beginning and the end made me all the more appreciative of her growth throughout the story. The book is also very well written. The story flowed nicely and the writing is both witty and poignant. I highly recommend this read. My only advice is to not give up on Milly right off the bat. Stick with it and you'll end up with a great payoff. Click here to view more awesome stops on the Reckless Blog Tour! Thanks for the awesome giveaway-I haven't read "Reckless" or "Friendship on Fire" and am looking forward to reading them. I hope I win!